Enrollment is now open for this full-year program that includes six science projects. Each of the six projects lasts approximately one month, with youth (ages 8-12) meeting in their "Science Explorers" club once a week for the duration of the program. Selected Explore It! projects for 2015-2016 include – Cake Chemistry, Heating a House and an Oven, Measuring Ourselves, Sinking and Floating, Siphon Systems, and Wiring a House. Youth work in teams to explore familiar phenomena using simple materials to foster science learning. Enrollment form and deposit for the 2015-2016 school year are due June 12, 2015. For more information, visit the program’s website. 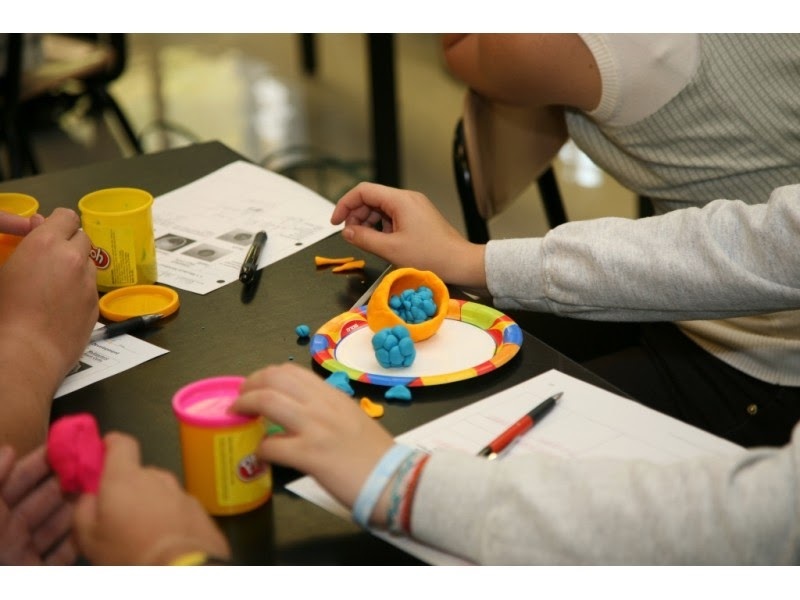 Rutgers Cooperative Extension 4-H Youth Development and the New Jersey School-Age Care Coalition (NJSACC), The Network for New Jersey's Afterschool Communities, are proud to offer Explore It!, an engaging, inquiry based, and fun STEM program designed specifically for afterschool. This comprehensive and high-quality program was developed by the Education Development Center, Inc. (EDC) in Boston and the National Partnerships for After School Science (NPASS2) through the support of the National Science Foundation. Rutgers 4-H and NJ SACC will provide (1) materials kits, (2) curricula guides, (3) three full-day professional development workshops, and (4) ongoing support and technical assistance to school and community based afterschool organizations who enroll by June 12. See the website for details, enrollment packages and options, and an enrollment form. The 2015 SXSWedu Conference and Festival is in full swing in Austin, Texas. Team SmartBrief is there, bringing readers coverage of the discussions and happenings at this year’s show. Redefine the traditional approach. “We teach programming backwards,” explained Douglas. “We start at the smallest bit and work our way up.” Instead, he encourages teachers to start with what kids already know: apps. Find out what apps students use regularly and then drill down to find out why they’re easy to use. Take screenshots of different apps and have students identify common interface features, like the “Back” button. Look also at how information is organized. Get students to think and discuss all these different elements. Build things that matter. Girls want to put meaning to their work. They want to help people or support a cause. Douglas told the story of a student he’s working with now who’s creating a game about how people and communities can recover from natural disasters. The game includes a village, which gets wiped out by floods and tidal waves. Players have to create safety structures – such as sea walls around the village or a covered harbor for boats – and pay for them with in-app purchases or game credits. A portion of the money raised goes toward helping a real village in a real country that has suffered a disaster. Planet Earth doesn’t exactly have a birthday. But every year on April 22, we celebrate Earth Day — the anniversary of the moment the environmental movement went mass. 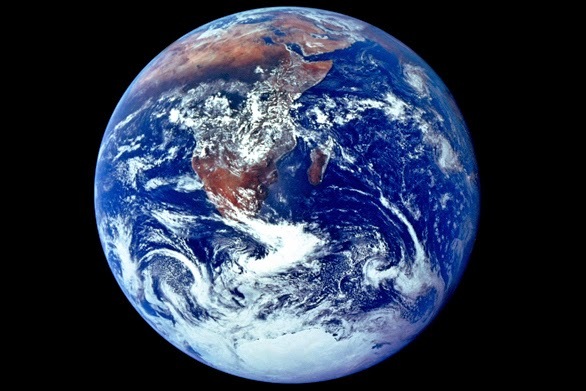 According to EarthDay.org, Earth Day was founded in 1970 by U.S. Senator Gaylord Nelson, who called for a “national teach-in on the environment” after witnessing the terrible effects of the 1969 oil spill in Santa Barbara, California. The first Earth Day brought major actions to the streets of many major U.S. Cities. For fun, check out this vintage newscast from after that first Earth Day. Earth Day went global in 1990 and, today, is celebrated in an estimated 192 countries. Which makes today the perfect day to take time to appreciate the land, air, oceans and wildlife that sustain us — and to think about how our lives, both individually and as a group, affect the environment. To that end, here are 12 talks — some reflective, some terrifying, some beautiful, some galvanizing — to watch today. New Jersey continues to lead the nation through the release of detailed arts education information to the public and the research findings look promising—a 4% increase in high school arts participation from the previous year with significant increases in dance and theater participation. These findings are based on the arts educator assignment data for all schools and the high school arts participation data from the New Jersey School Performance Reports just released by the New Jersey State Department of Education. The findings for the 2013/2014 school year are accessible through the Interactive School Performance Dashboards for Arts Education created by the New Jersey Arts Education Partnership found at www.artsednj.org. According to the new state data, 94% of schools in New Jersey reported offering arts education programs that provide access to nearly 1.3 million students (97% of all students). Student participation in high school arts programs grew to just under 50% of all students. The percentage of schools providing Dance and Theater continues to lag (7% and 4% respectively). 80% of schools reported the presence of both Music and Visual Art providing access to 88% of all students. A total of 49.3% of high school students were enrolled in one or more arts disciplines during the 2013/2014 school year (representing 191,974 unique students). This represents a 4% growth in arts enrollment from the prior year. Among the arts disciplines, visual art has the greatest percentage of enrollment at 31.1% (117,613 students) followed by music at 17.5% (68,354 students), theater at 3.9% (15,261 students) and dance at 2.1% (8,087 students). The increases in enrollment were across the board with Dance increasing by 13.5%, Theater by 11.5%, Music by 4% and Visual Art by 2%. There are 7,182 professional arts educators providing arts instruction in New Jersey high schools (including 3,545 in music, 3,340 in Visual Arts, 191 in Theater and 106 in Dance). 84% of all arts teachers are assigned to one school. Two out of every three high schools (66%) reported an increase in arts enrollment. The information does not address the quality of the programs, elementary and middle school participation or the impact of scheduling changes created by recent educational reform initiatives or new statewide assessments. All of these areas require further research. The Interactive School Performance Dashboards for Arts Education allow citizens to interact with the information, explore student enrollment and levels of participation for each of the four arts disciplines (Dance, Music, Theater and Visual Arts) for all high schools as well as the presence of arts programs for every school. The data may be viewed by school, district, county or state totals. Schools and communities will also be able to compare their results to the averages for the entire state. New Jersey has long had some of the strongest requirements for arts education in the nation. Since 1996, the visual and performing arts (Dance, Music, Theater and Visual Arts) have been a part of the New Jersey Core Curriculum Content Standards and are part of the state’s graduation requirements. Additionally, New Jersey was the first state to conduct a mandated study to document access, participation and quality of arts education. In support of these requirements, research regarding the educational benefits of the arts for all New Jersey students (not just the gifted and talented) is compelling. Various studies have identified links between involvement in the visual and performing arts and improved attendance, school engagement, increased academic performance, decreased drop out and discipline rates and higher levels of college attendance — areas of improvement vital to student success. Just as important, the arts develop important life skills including problem solving, critical thinking, creativity and collaboration. A recent study found New Jersey high schools with more arts education have a greater percentage of students who were highly proficient in language arts on the High School Proficiency Assessment test. High schools with more arts education have a higher percentage of students planning to enroll in a four-year college. 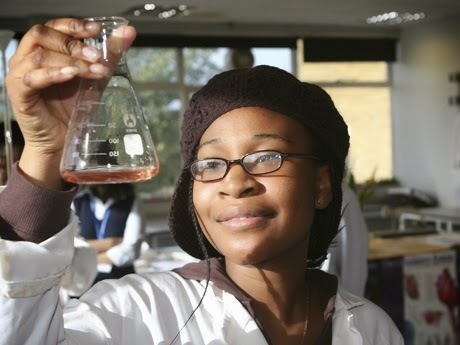 As part of the President’s commitment to equal opportunity for all students, the White House Domestic Policy Council and the Council on Women and Girls, the Department of Education, and the Georgetown University Law Center on Poverty and Inequality highlighted programs that focus on developing the talent of girls of color and low-income girls in science, technology, engineering, and math (STEM) and career technical education (CTE) careers. We heard from the educators, innovators, researchers, scientists, and marginalized girls themselves who are dedicated to increasing the participation of low-income girls and girls of color in post-secondary education and in-demand careers within high-growth industry sectors. 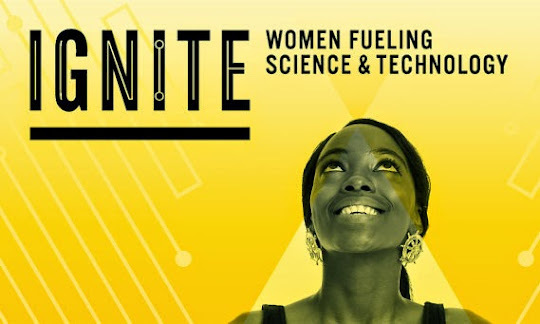 IGNITE: Women Fueling Science and Technology, is a global campaign and media project from the Global Fund for Women that explores the roles of science and technology in advancing gender equality. IGNITE features stories of women and girls who are leading and innovating in science, technology, engineering and math. The project also highlights the gender gap in technology and advocates for women and girls’ increased access to and control of technologies. Learn more in Global Fund for Women CEO Musimbi Kanyoro's essay, "Technology is a Women's Human Rights Issue," by clicking here. A hero doesn’t always need super powers or expensive cars. Sometimes, all they really need is a screw driver and some duct tape. Back in the 1980s and 1990s, the show MacGyver featured a spy who saved the day, not with fancy gadgets, but with whatever he had at the time. Many people decided to study science or engineering because they watched MacGyver. 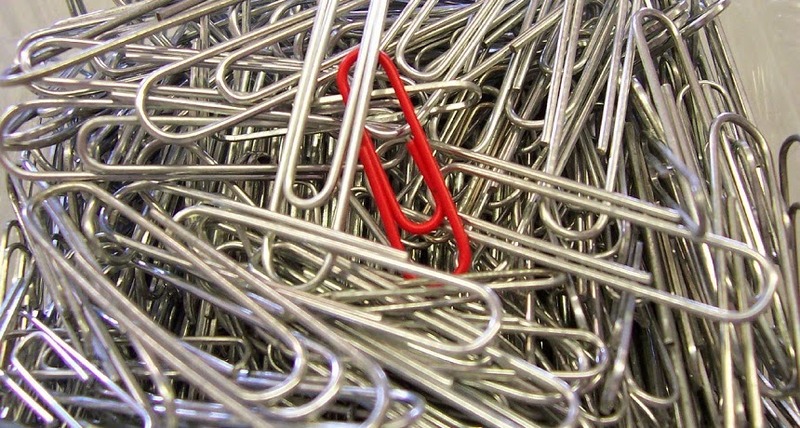 Now, several engineering groups are trying to bring MacGyver back. But this time, MacGyver won’t be a man. And they need you to help them come up with ideas. MacGyver used paper clips, rulers, tape and other simple materials to do everything from defusing a bomb to bringing back stolen diamonds. He didn’t need fancy tools. Instead, he knew a lot about science, and used that knowledge to solve his problems. It’s time to bring that problem-solving spirit back to TV. Until April 17, 2015, you can submit your ideas for the next MacGyver. The competition is sponsored by the National Academy of Engineering, the Viterbi School of Engineering at the University of Southern California in Los Angeles and the MacGyver Foundation. It also includes producer Lee Zlotoff, who created the original show. The contest is looking for a show that stars a female engineer. It doesn’t have to be a show about a spy. It could be a comedy, a drama or a science show. It just needs to show the power of science-based thinking and appeal to middle- and high-school audience. Do you have an idea for a great show with a female engineer? Submit your title, the type of show you’re thinking of and a description of your engineer. Check out the website and make sure to follow all the rules (the person submitting the idea must be more than 18 years of age). Five finalists will get to develop a draft of their very own TV episode. And you don’t even need to bring your own tools. 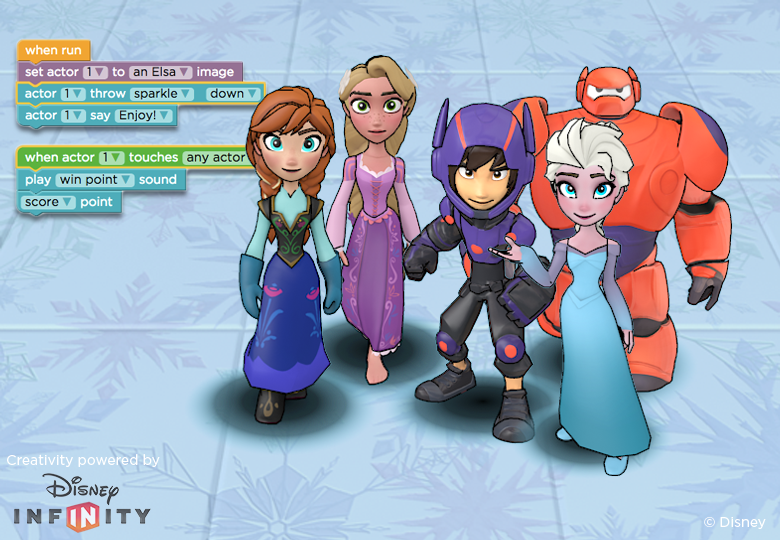 Today we are excited to announce our second launch in collaboration with Code.org: Disney Infinity Play Lab, starring Disney Infinity versions of five Disney characters: Anna and Elsa from “Frozen,” Hiro and Baymax from “Big Hero 6” and Rapunzel of “Tangled” fame. In Disney Infinity Play Lab, users can learn to code your own animated stories or games. Players have free rein to tell whatever story you dream up with this exciting cast of charactersand can easily share their creations online or challenge a friend. Our first project with Code.org, which allowed students to write code to help Anna and Elsa create snowflakes and magical “ice craft” for the Hour of Code 2014, helped tens of millions of young people in 180 countries delve into the world of creativity with computer science. To date, five million students have enrolled in Code.org’s learning platform, Code Studio and almost half of the users are girls. Click here to check out Disney Infinity Play Lab in Code Studio. Join over 200,000 other students in a fun math game that was custom-built to teach over 300 crucial skills for Grades 1 - 8. Build your own wizard from scratch and unlock powerful magic as you work your way through the world of Prodigy. Play with friends and compare awesome items in an online math game that's updated every 4 weeks. Collect unicorns, werewolves, and even a flying tiger on your road to becoming the most powerful wizard at the Academy! Children love pets, and we think they're an absolute must for truly fun math games. 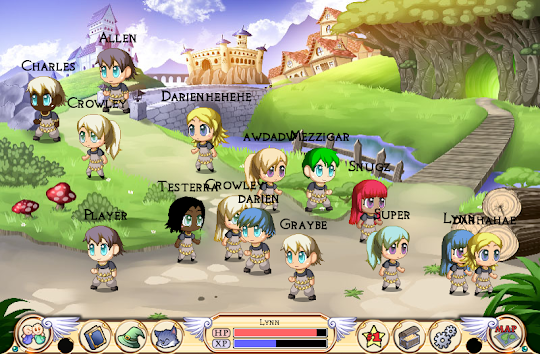 In Prodigy, you can battle over 100 different monsters using math. Defeat dragons with division and fend off fiends with fractions in a free math game where numeracy is your most powerful weapon. When math games are fun, kids learn voluntarily. Prodigy is changing what it means to make fun math games by creating an entire world where math is the key to success. Kids are able to play alongside their friends and share their successes in a completely safe environment. It's this social atmosphere that drives students to continue playing Prodigy at home, long after school has finished. In fact, the average student practices math voluntarily for 30 minutes/week on Prodigy for every half hour spent at school! Kids are happy to play and learn on their own time when an online math game is actually fun. 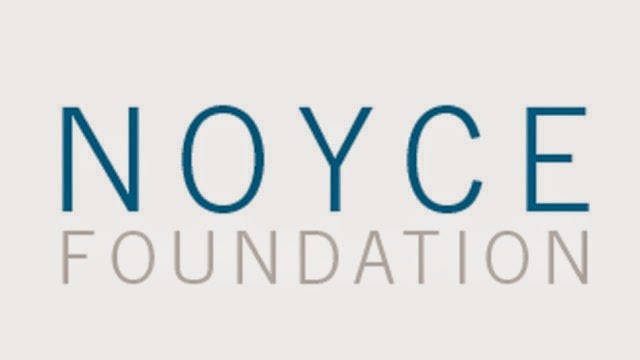 The overriding goal of the Noyce Foundation is to help adults guide young people into productive lives. Research shows that young people are much more likely to try to learn and retain challenging core subjects like math, science, and critical reading if they are exposed to and engaged in these topics in a variety of ways. While these kinds of experiences happen in good classrooms, they also occur outside of school time – whether in the sciences, the arts, or structured “work-based learning.” A wide range of engaging learning opportunities in school, as well as in home and out-of-school environments should be available to all kids so that they can develop academic and interpersonal skills and competencies. However, since so many kids who do not thrive educationally live in challenging home environments and attend schools that are neither stimulating nor purposeful, they need to have access to learning opportunities in other environments that are engaging, challenging, and interesting. To develop knowledge, skills, and interests, youth need more than just school time. They also need afterschool time and summer time pursuing interests in the company of competent and supportive adults. Engaging summer activities are particularly important as the many kids who simply stop any kind of learning activity in the summer lose both knowledge and the habits of mind that engaged learning requires. NOYCE seeks to build effective supports in designed environments for adults who are seeking to guide children’s healthy social and intellectual development. A critical experience for young people is significant time with supportive adults in activities that are interesting so they learn the value and pleasure of deep dives into subject matter, whether math, science projects, chess, birding, or the arts. These experiences build habits of work, belief in their own efficacy, and persistence skills that all kids, and especially those from low-income backgrounds, need to develop so they can navigate the range of environments that will face them as they mature. Each year, Destination Imagination develops seven engaging open-ended challenges that are designed to bridge the gap between our digital and human ecosystem and what kids are learning in school. Teams are comprised of up to seven students ages from kindergarten to college level. Each of the teams that participated on Saturday have worked together for several hours a week with a team manager who functions as a mentor since the fall to create and realize solutions to their selected Team Challenge. The solution must be created and implemented solely by the team members with no outside interference. Then, the teams present their solution in the form of a presentation with a time limit of eight minutes to a team of trained appraisers who appraise the team's solution for creativity, teamwork and overall approach. Teams can select from one of seven open ended challenges that are developed each year. The challenges for this year were Creature Feature; a technical challenge, Making Waves; a scientific challenge, Lose to Win; a structural challenge, Feary Tales; a fine arts challenge, the Improv Games; an improvisational challenge, Brand Aid; a service learning challenge and Animal Mish Mash; an early-learning, noncompetitive challenge. In addition to the required elements of each challenge, teams have the opportunity to highlight special skills or talents of the team by designating two team choice elements, which must be a unique part of the presentation and must have a meaningful connection to the team's solution to the challenge. Each team at the tournament has one additional component to complete called an Instant Challenge, which are secret until the day of the tournament and may require the team to practice divergent thinking (out of the box creativity) or convergent thinking (in-the-box creativity) emphasizing teamwork and collaboration. These are divided into two types - performance-based where the focus is on working together as a team to create a theatrically oriented solution to the problem or task-based where the focus is having the team work together to move, build, change or protect materials in order to complete a task. Scores from the Central Challenge, Team Choice Elements and Instant Challenges are combined into a total score and the winners identified for each level of each challenge. Thirty-eight of the competing teams have won the right to represent New Jersey at Destination Imagination's Global Finals, the world's largest celebration of creativity in Knoxville in May. They will be joined by over 1,400 other teams and over 18,000 attendees total from around the world. This year, teams that chose Brand Aid, the community service challenge, worked on a wide variety of community needs which they identified. The DI Dogs 2.0, an elementary level team from Kinnelon, identified the Kinnelon Animal Shelter as the community partner they wanted to help. The shelter needed funds to purchase supplies to care for the animals in the shelter. They considered many different options and finally settled on a "Dynamite Night" where they offered a variety of games and events including duct taping their principal to the wall. The team raised over $300 to help the shelter. The Conversationalists, a secondary level team from Ridge High School, chose to work with students for whom English was a second language. They created a Conversation Club as a safe place to help ESL students assimilate smoothly into school life. The team created games to help expose the ESL students to native English speakers and to understand the American culture. This also gave the English speaking students the opportunity to connect with other cultures. Drive with Pride, an elementary level team from Wyckoff undertook a project to educate the community on the dangers of distracted driving. Several members of the team were either themselves involved in accidents or knew people in the community who had been in accidents where distracted driving was identified as the cause. The team developed a "Drive with Pride" brochure and handed them out to the community in order to increase awareness. They also developed a podcast to support their efforts. 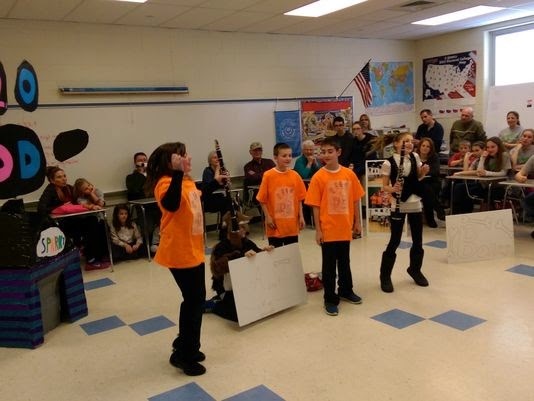 Destination Imagination teaches participants curiosity, courage and creativity. The challenges invoke curiosity so that students develop an interest in their world and can imagine opportunities to improve it, courage is gained when they learn their unique strengths and abilities and then step outside their comfort zones to pursue ideas and make presentations, and creativity is gained when they take a novel idea of their own design through to fruition.